Nanocomposites are classified into two classes one is non-polymer based nanocomposite and another is polymer-based nanocomposites. Nowadays polymer-based nanocomposites are involved everywhere and especially in the membrane science, it is playing a key role. Recent decade researchers getting tremendous output using membrane technology. Earlier applying the membrane technology in several fields it was a challenge for the researchers but nowadays researcher are using it in different research fields. There are tremendous work was done using nanocomposite membrane for applications like water desalination, wastewater treatment, gas separation, water vapours removal from flue gas, enantiomer separation, etc. Thin film nanocomposite membrane technology has deliberated as one of the most doable technology for above-mentioned application fields. Nanoparticles (NPs) incorporated in a polymer matrix or in the thin composite layer to prepare nanocomposite membrane have become promising membrane materials owing their enhance properties such as high surface area, surface mobility, superior optical and magnetic properties. The improvement in the results is not only beleaguered at the anti-fouling properties of nanocomposites but also manifested stupendous competence to manage with the selectivity/permeability trade-off-relationship. This book chapter discusses the recent development in nanocomposite membrane technology considering several applications. The results showed that the nanocomposite membranes possess a high flux along with superior selectivity in all above-mentioned field to compare with composite membranes. 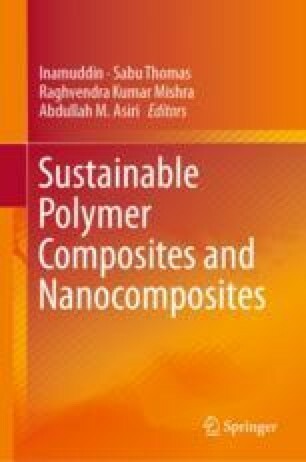 Key face in nanocomposites membrane technology for the future research perspectives is also discussed in this book chapter.